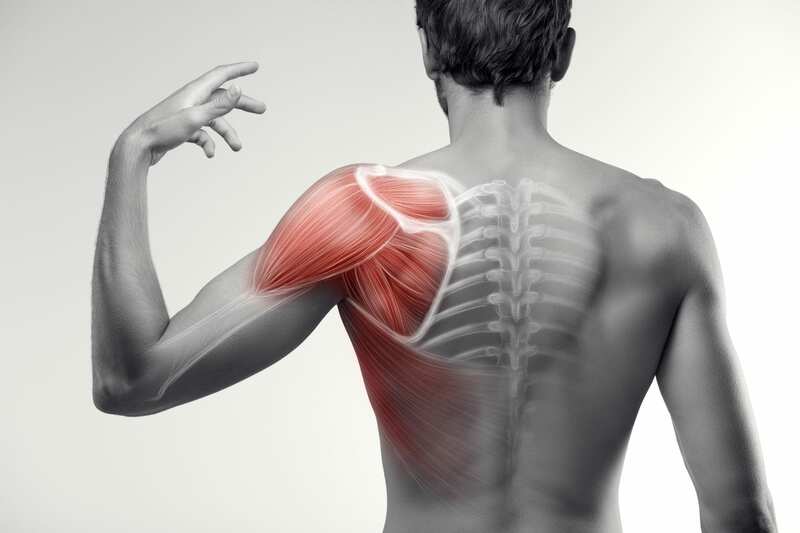 Individuals suffering from shoulder pain due to common injuries of the rotator cuff and shoulder labrum, as well as those facing shoulder replacement due to arthritis and other degenerative problems may be excellent candidates for regenerative therapy. Shoulder pain is a very common complaint. Unfortunately, shoulder surgery can be difficult due to the complexity of the joint. Post-surgery recovery can be painful and typically requires a rehab period to restore strength and mobility to the shoulder. 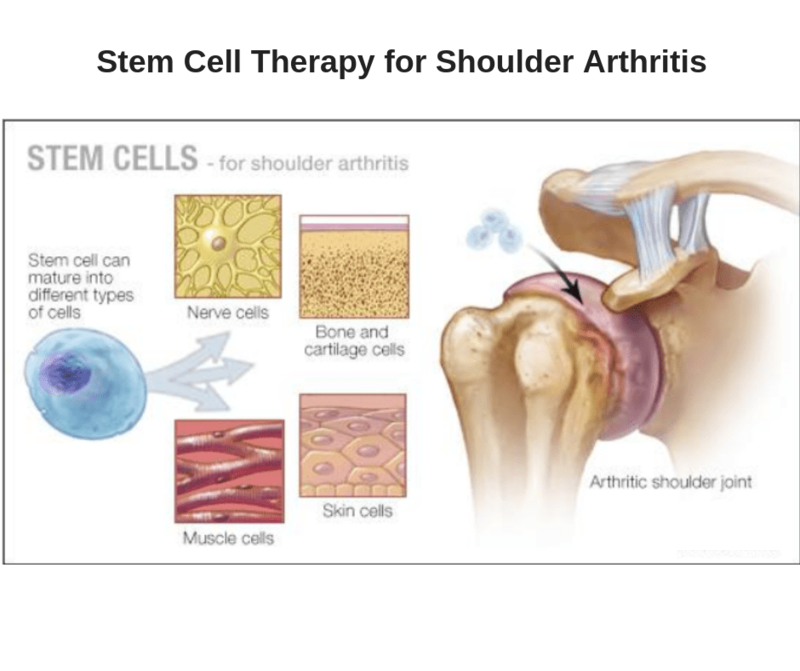 Stem cell therapy is a minimally invasive regenerative treatment that is being used in some cases to treat shoulder pain with minimal downtime. Our research and experience demonstrates that stem cell therapy offers a natural way of healing the body. Regenerative therapy may help you avoid invasive surgical procedures and get you out of pain and back to being active sooner. Bone marrow-derived autologous stem cell therapy offers an exciting option for relief from shoulder pain and injury. Our surgeon will inject the stem cells at the site of the injury. They will use an image guided (flouroscopy and/or ultrasound) injection to assure that the concentrated cells are placed precisely where optimal healing can occur. This non-surgical technique is an out-patient procedure, and for many, will not require any recuperative downtime. Restore shoulder function and mobility, and decrease pain to get active again. A rotator cuff can tear as a result of degeneration of the tendon from excessive use or from an injury. If the tear does not go all the way through the tendon, it is considered a partial tear. This injury commonly affects people over the age of 40 and people who do repetitive overhead lifting. Symptoms of a rotator cuff tear typically include pain or weakness when lifting and lowering the arm. If a tear is the result of a fall or other traumatic injury, there may be an extremely painful snapping sensation, followed immediately by weakness. Non-surgical treatment of a rotator cuff tear may include physical therapy, along with anti-inflammatory or steroidal medication. If these aren’t successful in treating the injury, surgery may be recommended. Surgery most often involves re-attaching the tendon to the upper arm bone, although if the tear is partial, the surgeon will perform a debridement. For some patients, stem cell injections may be an option to treat pain and improve the body’s capacity to heal itself. A torn labrum is an injury to the shoulder joint that causes pain, instability, and difficulty with activities. Shoulder falls and lifting heavy objects repeatedly are common causes of a labral tear. It’s also common for athletes, particularly baseball players, who throw a ball. Symptoms of a labral tear include weakness or instability in the shoulder, a general aching or soreness in the shoulder (with no particular location), a pain when moving the arm over the head (like throwing a ball), and a popping or clicking in the shoulder. Anti-inflammatories and hot/cold compresses are typically suggested first to reduce swelling. After swelling is controlled, a sling may also be suggested to support the arm. Exercise and stretching will strengthen the muscle and the back of the shoulder. For many, arthroscopic surgery will likely be recommended, which will likely require a long recovery period. Stem cell therapy is a minimally invasive regenerative treatment that is being used in some cases to treat labral tears with minimal downtime. Osteoarthritis of the shoulder is a gradual wearing of the articular cartilage that leads to pain and stiffness. The risk of developing osteoarthritis in the shoulder increases with age, but can also occur after an injury, such as a fractured or dislocated shoulder. At times, it is simply due to hereditary traits. Aside from pain, a limited range of motion while trying to move the arm can also be a sign of osteoarthritis, accompanied by a clicking/creaking noise. Treating mild to moderate osteoarthritis typically involves resting the shoulder joint, applying hot/cold compresses to the affected area, participating in physical therapy, and taking anti-inflammatory medication. If symptoms persist after conventional treatment is administered, surgery may be recommended. Common surgeries to treat shoulder arthritis include shoulder joint replacement, removal of the end of the collarbone, and replacement of the head of the upper arm bone. Stem cell therapy is often an excellent alternative to these invasive surgeries – and it a much less-traumatic treatment option. I’m so pleased with the results and am amazed that I went from taking daily pain meds to having ZERO pain in my shoulder! Having full range of motion back is just icing on the cake. I would do this again in a heartbeat! I’m off all my pain meds! I’m only 37 years old and my back pain was an 8 out of 10 – it was affecting every aspect of my life. I was hopeful there would be a little improvement with stem cell therapy. But I was amazed that in about 2-3 weeks after treatment, I noticed a HUGE improvement. Now I don’t take any medications at all and I’m back on the golf course! I had an infection in my scalp for four years. It turned to sepsis twice. I visited a dozen dermatologists, two infectious disease docs, my personal doc, a natural path doc, and I spent a week at MAYO. I also bought hundreds of dollars of supplements. Nothing worked. Four days after a Bennulife stem cell procedure, the infection was gone, and has not returned. I’m a believer. Following my stem cell knee injection, I was able to walk longer distances and my knee didn’t feel tight and unstable, as it did before. I used to stand up from sitting position and had to bend my knee several times until I felt it was loose enough to walk. A couple months after the injection, I was able to get right out of a chair and immediately take off walking like everyone else with normal knees! I had a wonderful experience at my PRP Facial at BennuLife! The facility is a bright, fresh and open environment, and the staff are inviting and thorough. The early results are already impressive and I look forward to my next visit! Somewhere around the fourth week, post procedure, I noticed a dramatic turn of events. I was no longer stiff. I had more range of motion. I got out of bed and was pain free! I exercised and felt better!